Poorest country in America, Haiti is facing a particularly difficult social and economic situation which leads a majority of the country’s inhabitants to poverty. Social street work is considered as a tool to help the most vulnerable, especially since most of them are children in street situation. 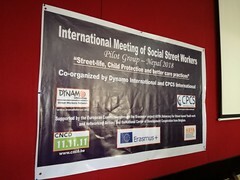 In order to support local social street workers, Dynamo International Street Workers Network (DISWN) submitted to the Belgian Francophone Community a project aiming to (i) improve Haitian social street workers’ vocational training (ii) strengthen the recognition of social street work on the island. Approved by Wallonie-Brussels International network (WBI), the project is starting at the beginning of this year 2019 and will last until the end of 2021. The project, that will last 3 years (2019-2021), has one general objective : take better care of the children in street situation throughout their life in Haiti. Before that, one specific objective will have to be achieved : to develop an autonomous, efficient and dynamic social street workers platform which action is recognized in the local field of Child Protection. The Planatruch is a structured and functionnal platform with an action that is extended on every department of the island. Public and private social street workers’practices are strenghtened and they provide local children in street situation with an efficient support system. Haitian political bodies at both regional and national level are making significant efforts in order to respect children in street situation’s rights. Haitian communities and the general public are well aware of the topic of children’s rights, and children in street situation’s in particular thanks to the action of local social street workers. 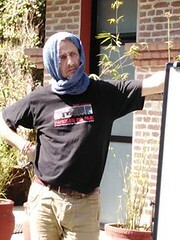 Other partners will support Dynamo International and the Planatruch throughout the project.